Some occupations involve working with hazardous chemicals on a daily basis. In Kenser v. Premium Nail Concepts, Inc., a case from the Montana Supreme Court, plaintiff operated a nail salon from 1998 to 2009. In 1999, she began using a liquid nail product that was repackaged and distributed by defendant. In 2008, plaintiff developed painful boils on her face, rashes, and had trouble breathing. She filed a workers compensation claim, and the commission’s doctor diagnosed her with ethyl methacrylate (EMA) sensitivity. 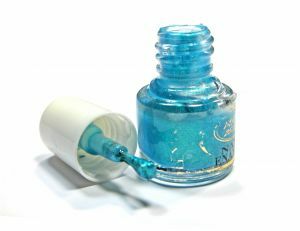 EMA is an ingredient in the liquid nail product sold by defendant. Plaintiff learned about defendant’s product at a trade show in 1999. She chose to use it exclusively in her shop. When making an acrylic nail, nail salon workers mix defendant’s powder with their liquid product and apply it to client’s nail with a brush. After the acrylic is dry, the worker files it and shapes it before applying nail polish. It is common for workers to get the product on their own hands during the process. Workers are also exposed to fumes and dust during the process. After plaintiff developed symptoms in 2008, she went to several doctors who couldn’t diagnose the cause of her illness but thought it might be work-related, so she began wearing a mask and gloves and reduced the number of clients she assisted, but her symptoms did not improve. Once the workers’ compensation doctor diagnosed her with EMA exposure-related contact dermatitis and asthma, he told her not to return to the salon, even to close it down. Plaintiff filed a products liability lawsuit against defendant. After a five-day jury trial, the jury returned a verdict in favor of defendant. Prior to trial and during trial, the judge had made various rulings affecting evidence that could be presented to the jury. Plaintiff appealed these rulings. On appeal, the court looked at several issues, including whether it was proper to allow defendant to present an expert who opined that the chemical was safe as used when skin contact is avoided. The court also looked at whether proper jury instructions were given and at the trial judge’s decision to deny plaintiff the right to cross-examine defendant’s expert on whether skin contact was common for the injury. Plaintiff’s claims at trial were the product was unreasonably dangerous, that a typical user of the product would have no reason to know, and skin contact could not be avoided during its intended use. As our products liability attorneys in Boston can explain, failing to warn of a known danger and designing a defective product are common claims in these types of civil actions. The appellate court held that trial judge committed clear errors when making rulings. The appellate court held that allowing defendant to use the “safe as used” argument was not proper, and trial court further compounded its error by not allowing plaintiff to present evidence that it was common nail salon industry practice for workers to get the substance on their hands when applying it to a customer’s nails. The court reversed trial judge’s rulings and remanded the case for further proceedings consistent with its opinion. If you are the victim of dangerous product in Massachusetts, call the Law Offices of Jeffrey S. Glassman for a free and confidential appointment — 1-888-367-2900.